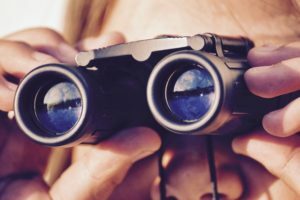 It’s no secret that content producers everywhere are searching for ways to attract eyeballs and dollars. By embracing virtual reality technology in a strategic way, the NBA is testing a new content delivery method while simultaneously giving fans a unique and innovative basketball viewing experience. 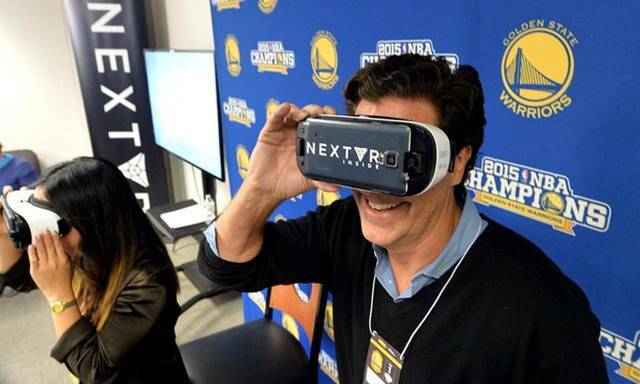 The National Basketball Association (“NBA”) has partnered with NextVR, a leading broadcaster of live events in virtual reality, to offer fans an immersive game-watching experience that allows them to feel like they have front row seats from the comfort of their own h ome. Launched for the 2016/17 season, the NBA is the first major American sports league to offer a series of scheduled games via this distribution method. In order to tune in to the limited selection of games, fans must obtain compatible VR-enabled hardware – the NBA VR broadcasts currently work on the Samsung Gear and Google Daydream View –, download the NextVR app, and purchase a subscription or single-game via NBA League Pass. While the initiative is still limited in scale and subject to technical resolution and blackout issues, initial reviews of the experience are positive. If the NBA can get the VR formula right, it has the opportunity to add additional revenue streams to its current profit formula in the form of content and advertising sales that can potentially stem the losses caused by cable subscription declines. Compared to other sports, basketball is uniquely positioned to translate nicely to a VR experience. Basketball courts represent one of the smaller playing areas compared to other major sports like American football and soccer and the ten players are typically concentrated in the same 50% of the court at any given time, meaning that it is easier to capture all the action with VR-enabled equipment. Additionally, the NBA is the only professional American sport in which some fans sit right on the playing surface as opposed to being restricted by glass (i.e. in the NHL) or fences (i.e. in the MLB), translating to an unparalleled experience in which you see every play and hear every whistle. Thus, courtside seats are some of the most sought-after tickets in sports and entertainment, with an average face value of ~$2,500, increasing to an absurd $60,000 for some playoff games. Finally, seeing these seven-foot-plus specimens up close is truly incredible when compared to professional soccer, baseball, and football players who average 6’1”, 5’11”, and 6’1”, respectively. The NBA’s main revenue source for VR games is consumers’ NBA League Pass subscriptions for $200 per season or a-la-carte game purchases for $7 each. Viewership figures have not been disclosed but are likely quite small at this point. 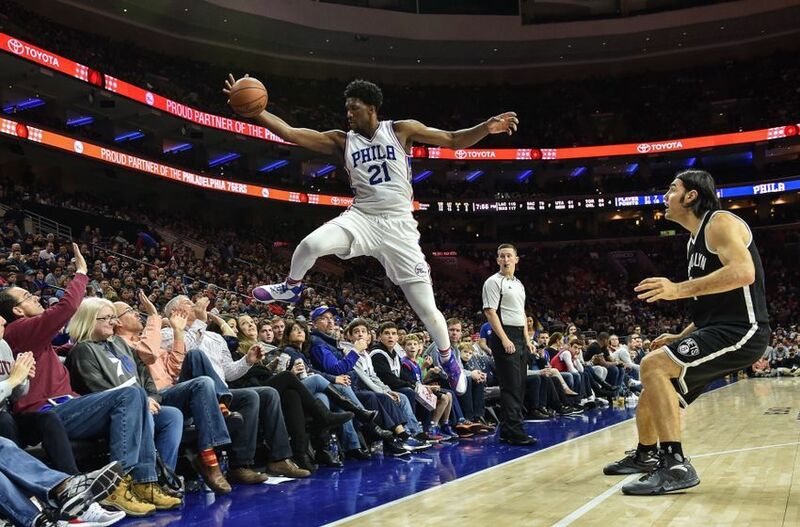 Thus, more than dollars, the NBA’s main payoff for this initiative in the near term is solidifying a reputation for cutting edge content distribution and gaining the chance to test this form of content distribution with fans. If broader VR technology adoption continues to grow, the NBA will be in a strong position to monetize via game access fees and advertising. If this segment reaches big enough scale, the NBA could even consider selling its digital VR rights to a third-party distributor, like what the league currently does with its television rights. 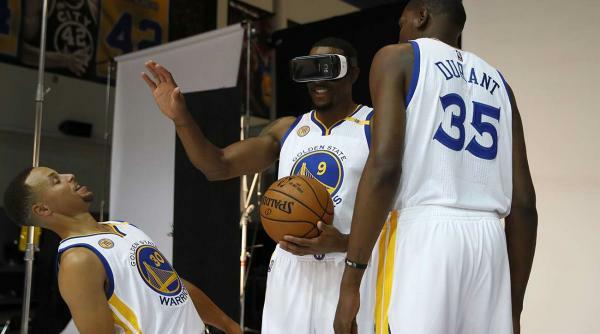 In the short term, the NBA’s VR capabilities are currently limited by the pace of technological improvements. The resolution is not perfect which may adversely impact fans’ interest in watching via this medium. Additionally, it is unknown whether watching an entire two-hour game via VR is either healthy or enjoyable for one’s brain. Assuming these obstacles are eventually overcome, the NBA has the opportunity expand its VR offering beyond one game per week. It could even offer broader content than just games, such as behind-the-scenes practice access or virtual tickets to the all-star game. More than increasing the content offered on the VR platform, advancements in this field could also allow the NBA to increase its global audience. Avid NBA fans exist across the world, particularly in China, and once the NBA VR offering is refined, the league could sell virtual season tickets to monetize games beyond the ~20,000 stadium seat tickets. Finally, one of the core arguments against VR experiences is that the joy of attending an event lies in sharing it with friends. 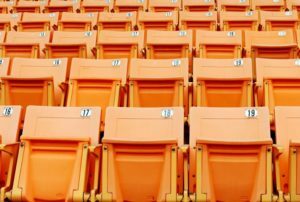 This point is well taken – how many times have you bought a single ticket to a game rather than attended with a buddy or partner? Thus, I would recommend that the NBA, in partnership with NextVR, consider building in some sort of chat or community function into the VR viewing experience. This would increase the stickiness of the platform and potentially drive network effects such that fans whose friends are viewing NBA VR content feel compelled to do so as well. Very interesting! While it certainly makes sense that fans would want to experience live events from the standpoint of courtside seats, I think one of the biggest draws with watching live sports events is feeling the energy of the crowd and sharing the moment with others; do you think this will be lost in a VR experience? I’m sure the VR content includes sounds such as the crowd roaring behind you after an exciting play, but there’s something about sharing the experience with friends that might be difficult to replicate through a VR world. I wonder if there’s a way they can make this experience more social – perhaps by linking VR headsets with each other such that you feel like you are experiencing the same content as the person next to you, and somehow integrating your experiences? Thanks Yezi! I think your intuition is right regarding trying to maintain a community aspect of event experiences. That’s why I recommended that NBA/NextVR try to build in a chat or community feature similar to some group video games or apps. I also think that the NBA’s primary goal should be to target non-consumption – i.e. fans in other countries or areas – such that product is improving a previously deficient offering versus being compared to a premium experience. Great post Christy! Thank you for sharing. A couple of things come to mind when thinking about the successful implementation of VR in the NBA. I think you were speaking to this when writing about the technological improvements that need to happen, but I would also be concerned about simple things too such as how comfortable the headset is to wear for a 2-3 hour game. I haven’t put on a VR headset, but my guess is that it’s probably really difficult to make one that doesn’t bother in some way after wearing it for hours. Also, most people watching tv nowadays prefer to multi-task, using their smartphone as they watch. I would imagine that someone wanting to multi-task while watching probably wouldn’t go with the VR option since it would require putting the headset on and taking it off many times over. I think this will continue to gain in popularity, but wonder how widespread it will grow considering these drawbacks and the ones that you mentioned above. Great points, Tyler – thanks for sharing. I think we are on the same page in thinking that the tech still has a long way to go until it is fully functional for an average fan to watch a game – but hopefully it is in our near future! Regarding multi-tasking, I agree that consumers nowadays (including myself) are guilty of multi-screening all the time. I think integration with other top apps (primarily the social media networks, as Sijia and Sidharth mention below) will be critical to make the VR offering compelling. If there is a way to see your phone screen or PC screen in a “window” of the VR display, it would eliminate the need to keep switching between devices. Based on your suggestion for a live chat and the feeling of community NextVR may provide authentication via twitter / facebook for its matches and people can watch the games and tweet / chat on fb messenger on the side. In fact with the kind of focus that VR is getting by the social media giants it might even make sense for them to acquire NextVR to provide real time VR content to their audiences and other monetization methods for the same apart from tickets. Thanks for the note, Sidharth! I think you have a great point (see my comment to Tyler above). While I think Facebook is an unlikely acquiror, I could see a tech giant acquiring NextVR if they continue to be a leader in live events and VR shows more sustained momentum than 3D TVs. I really like your idea of making the NBA VR experience more interactive by promoting a sense of community. Along similar lines, I think it would be cool if they give VR viewers the option of replaying certain plays (like an alley-oop or a nifty drive to the basket for instance) close up and allow subscribers to “like” or comment on the plays. They can then use this feedback to automatically generate content (“Best 10 Plays of the Game”) for their apps and shows. Really interested to see how it will play out. Thanks Sijia! I love the idea of adding a “like” feature to the VR experience. Similar to my responses to Tyler and Sidharth above, integrating with these platforms where consumers spend most of their time will be very important if VR sports is going to be a successful viewing experience. I hadn’t thought about the content generation piece but awesome point – it could provide either the NBA or NextVR to capture more value beyond the so far tiny VR consumers market.